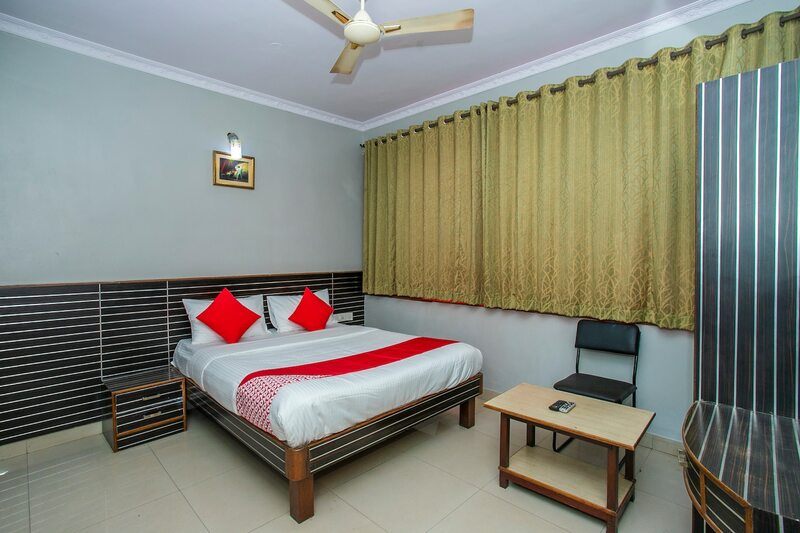 Hotel White Fort is located on Dispensary Road and has comfortable and compact rooms. The rooms are pocket-friendly and clean. The rooms have large curtains which adds colour to the room. The rooms are cosy and comfortable. The washrooms have vibrant and bright colours. The paintings in the rooms add to the aesthetic .Other facilities at the hotel include CCTV cameras, an elevator and a card payment option. The Lalbagh Botanical Garden is only a few kilometers away from the hotel which is a plus for nature lovers. It is also near to Bangalore fort and Tipu Sultans summer palace.